TORONTO and CHERRY HILL, NJ, March 29, 2018 /3BL Media/ - TD launched The Ready Commitment, a new multi-year program to help individuals and communities prosper. 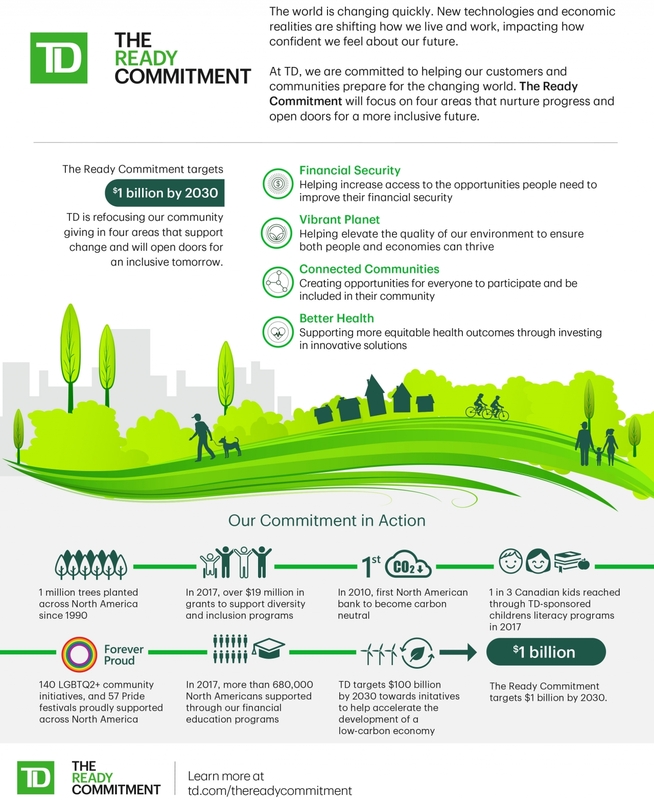 As part of The Ready Commitment, TD will target CDN $1 billion (US $775 million) in total by 2030 towards community giving in four areas critical to building an inclusive tomorrow – Financial Security, a more Vibrant Planet, Connected Communities and Better Health. Visit td.com to read the full press release.